*This community has a new model home coming soon. Lot #22 will serve as the site for Lucke's new Kensington model home and 2019 HOMEARAMA® custom home. Those interested in building our Breckenridge plan in this summer's event will enjoy additional savings and luxury upgrades. Continue scrolling to contact our Kensington salesperson about this incredible and rare opportunity. The Robert Lucke Group is excited to be an integral part of a brand new luxury home development coming soon to the Mason area. Awaiting its debut in the summer of 2018, Kensington of Mason will offer new home buyers "beautifully landscaped gardens and open green spaces, suitable for estate style living with an urban garden flair" (kensingtonofmason.com). Learn more about Kensington below, and consider building your dream home in this unique luxury oasis. Ready for the next step? 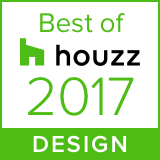 Begin exploring our award-winning home designs or schedule an appointment to begin customizing the home you've always wanted. 4bd – 4.5ba / 3871–3946 sqft. 4bd – 3.5ba / 3383– sqft.